Cases and examples of people who have successfully overcome their fear of flying using EFT emotional freedom techniques. My first contact with Sarah was by telephone on the way home from my EFT training in Eastbourne, on the M25. My initial conversation with Sarah lead me to understand that she had a crippling fear of flying which she had managed to alleviate slightly by using prescribed medication and alcohol. However, following a delay to her flight on the last occasion, her medication had worn off and she suffered a severe panic attack, almost requiring the plane to make an emergency landing in order that she could receive medical attention. Sarah was due to fly again on the forthcoming Friday morning, for the first time in 2 years. With this in mind she had seen a hypnotherapist earlier on in the day that she phoned me, but felt that the session had been a total failure and that she hadn't gone into trance at all. Being so desperate, she was now seeking help from another hypnotherapist (myself), even though she now also had doubts that anyone would be able to help. Unfortunately, because I work full-time and only practice as a hypnotherapist in the evenings, I wasn't able to fit Sarah in for an appointment until late on the Thursday night - the night before her early morning flight. This session had to work first time, because there was no opportunity for a follow up session! When Sarah arrived on Thursday night, she was already in a state at the thought of facing her phobia and talking about it. We chatted for a while and I discovered that Sarah is also claustrophobic and has similar, though less extreme, fears about lifts and about car journeys where she might be stuck in the traffic (she is fine on clear roads). I explained to Sarah that I would like to use a combination of techniques, including hypnotherapy, NLP and EFT, each of which I explained to her. I also said that I would like to take quite some time to take her into trance, so that she knew herself that she was deeply relaxed. She again reiterated that she was concerned that she was capable of being hypnotised after her previous session. So, I initially tapped for this apprehension:- 'Even though I might not go into trance.'. Sarah and I then spent some time talking about her fear of flying and the aspects of it that frightened her. She told me that she gets 'massive butterflies' in her stomach at the very thought of taking a plane journey and that she is even 'scared of getting on' the plane. Several times she said to me 'I can't get my head round it, or really put it into words', and she constantly asks herself 'how will I cope?' When I asked her to describe her over-riding concern about taking a plane journey she said it's because 'I'm stuck in'. She gave this aspect a SUD's level of 'at least 10'. By this stage, Sarah was visibly distressed. For the next 80 minutes I worked with Sarah, taking her into a deep trance and giving her time to experience the relaxation before going into a combination of hypnotherapy and NLP procedures aimed at dealing with her phobia about flying. I then brought her back to a light trance and asked her to tell me the SUD's level now for the fear of being 'stuck in' - it was now down to 'about 8' and the other aspects had reduced similarly. Clearly this wasn't enough to help her to deal with her forthcoming journey. So, remembering my training, I decided to apply EFT first of all to the most significant of Sarah's aspects, her fear of being 'stuck in'. We tapped for 'even though I'm scared of being stuck in. ', going through the full routine once. The SUD's level was now down to '3 or 4'. After only one more run through the procedure, the SUD's level was reduced to 0. I then asked Sarah to bring back the feeling of the 'massive butterflies'. She said 'I can't, it's gone'. The same applied to all the other aspects. They no longer had any significance for her. Before bringing Sarah back from trance completely, I verified that there were no other aspects that had come up for her that we hadn't discussed previously. There were none. When I brought Sarah back to full awareness, I asked her to comment on her feelings about the experience and about the forthcoming plane journey. She described her feelings as being calm and collected and said that she had been able to visualise herself taking the plane journey and actually enjoying it! I explained to Sarah that I thought it was appropriate to teach her the basic EFT routine just in case she needed a boost on the journey. So we went through the procedure and she left feeling happy and confident and promising to phone me to let me know how the journey had gone. A few days later Sarah phoned. 'How did it go?' I asked her. 'It was a disaster' she replied! . and of course my heart sank! I asked her to elaborate. She recounted a tale of delayed flights, unexpected flight transfers, lost baggage and baggage handlers strikes. Not to mention a rough flight due to weather conditions. Feeling really down, I asked her how she had coped. 'Oh fine, no problems at all. I just got wound up about the lost baggage. So I did the tapping stuff for that and it all went okay.' I heaved a huge sigh of relief! As a hypnotherapist, I am confident that I would have been able to deal with Sarah's problem without EFT, had there been time for a number of sessions. But in no way could I have done it at 10pm on Thursday night in time for a flight at 7am on Friday morning and I wouldn't necessarily have been able to give her the tools to deal with the little hiccups that occurred along the way. Sarah was so thrilled with the success of the treatment that she is shortly planning to return for further sessions to deal with claustrophobia and some problems at work. A few weeks ago a hypnotherapist friend and colleague, Jude, rang me to ask me to help a client of hers. Jude was going to California to visit her sister and her client, Susie, was about to fly to Spain for a holiday after Jude had gone away. Susie was terrified of flying. She had actually got as far as the airport on two previous occasions and refused to get on the 'plane. This time the holiday was booked and she was afraid of it happening again. Jude had seen her for hypnotherapy sessions but they hadn't worked, then she used EFT and things started to happen but neither of them really knew whether or not it had really worked. Jude asked me if she could give Susie my telephone number so there would be someone in the UK she could contact. I willingly agreed and asked her to get Susie to ring me to make contact just in case she needed me at the last minute and wouldn't feel as if she was talking to a stranger. Susie rang on Tuesday, we had a long chat and I then suggested that she should ring me on Thursday so we could chase up any tail-enders which might be lurking. She agreed. However, I did not hear anything from her - she was to fly out on the Saturday. I myself went to California the following week and met up with Jude. I told her the story and she said that Susie had either bottled out of the flight or was OK.
On our return Jude contacted me to tell me Susie had been in touch. She was absolutely fine on the flight and, on her return, had booked two further holidays!!!! Hurrah for EFT. The message from Carol Angell re: flying struck a chord with me. I had not been abroad for 14 years due to family commitments and old dogs! - well that's what I used to tell everyone. Truth was, I was terrified of flying. Have you heard the saying "Life begins when the children leave home and the dog dies?" Well, son had left home years before and, in November, we lost our last little dog aged 17 and a half. Now there was no excuse. My husband suggested a quick break in the sun before Christmas. To my surprise I readily agreed because I was so confident that with my invisible friend, EFT, I would be OK. Holiday was duly booked and I did some EFT work on myself and Silvia [Hartmann] helped me some more on the 'phone. I was surprised that I did not feel worried in the few weeks beforehand. On previous occasions just thinking about what was to come would make my stomach lurch and I would feel sick. This didn't happen. Looking forward to meeting you and all the wonderful people from the lists in Las Vegas. Yes, EFT is certainly fast but you can also do it on yourself and usually you do not need a therapist. I have used it numerous times on my own problems which is how I KNOW it works and I tell my clients about my own experiences. 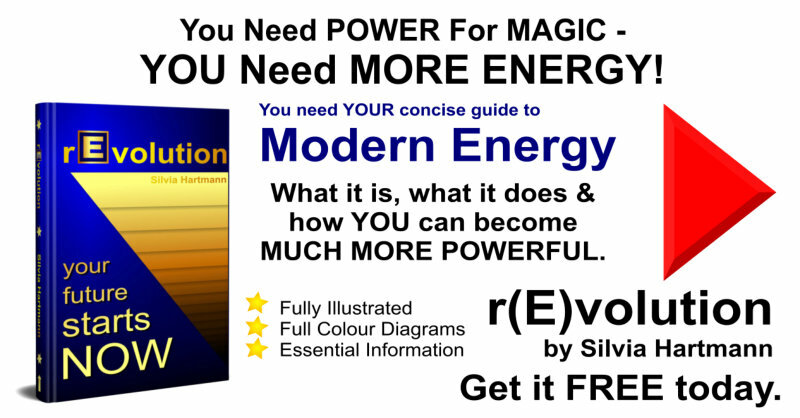 I would certainly have not just returned from the States having attending the 2nd World Energy Conference - a journey lasting 24 hours and 4 take-offs and 4 landings had it not been for EFT!!! I owe my new-found freedom totally, totally to EFT, I can only praise it to the highest heights. The fear of flying usually responds well to EFT, although the path to relief isn't always the same. Many flying fears simply vanish after one or two rounds of tapping while others require more artistry in order to address the many aspects involved. 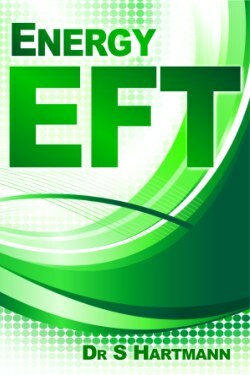 I just had what I consider to be my first "real" success with teaching EFT to a non family member. It was also a clear case of synchronicity too. I was scheduled to fly from Portland to San Jose for a meeting. Being tall, (I'm only 5'-17") I stopped by the airport the night before to try for a seat with legroom. I ended up with the bulkhead isle seat. The next day when I boarded, there was a woman already in my seat. As she was moving into the middle seat, next to her co-worker, she was obviously anxious and made some comment about being very nervous about flying, and wanting to be farther from the window. Rather than taking the open seat across the aisle, I grinned and told her she was in for a treat! I was going to fix her fear of flying! I sat down, and proceeded to confirm that she was aware of the fact that acupuncture used energy pathways in it's treatments. I went on to explain that I would teach her to tap on those same energy pathways to treat her fear of flying. GC RESPONSE: It's usually a good idea to build a bridge like this between EFT and someone's belief system. It helps with client compliance and keeps them from snickering too loudly (smile). However, when someone is in the middle of a fear response they will often go along with anyone who appears reasonably sincere. "I'll try anything!" is the usual response. BRAD CONTINUES: We started out by walking through a couple of rounds (leaving out the 9-gamut) on the general fear of flying. I could see she relaxed a little bit and then asked about specific fears. She came up with several issues involved with not being in control, leaving the ground, being so high, etc. At this point I introduced the SUDs [0-10 intensity] scale, and she rated her anxiety at about an 8, down from an obvious 10 in the beginning. By this time, the aircraft was being pushed back, and her SUDs shot up again. She had the protocol down, and she just started tapping away on the feelings and issues as they came up. Before long we were lifting off, and again, the SUDs shot up, more tapping and her comfort returned. She would bring herself down to about a 2, and tell herself that she was OK. I'd confirm that it was a 2, and ask her why stop there, wouldn't a zero be better? Back to tapping she'd go. The takeoff and climb was relatively smooth, so by the time we got to 35,000 feet, she was pretty comfortable. Later in the flight, she commented that she couldn't believe that she was looking out of the window comfortably, given the sheer terror she was expecting to be feeling at that point. On the way down, we hit some turbulence and she did some more tapping. In the end, she had a very successful flight and was only mildly apprehensive about her return flight the next day. I reminded her that she'd just learned a tool to deal with that, and to tap a bit on the fear of having the fear of flying before she left the next day. GC RESPONSE: This "mild apprehension" could either be (1) evidence of some aspect that wasn't cleared or (2) some self talk about it being "too good to be true", "it won't work next time", etc. The only way to know for sure is to get on the airplane and see what happens. If some form of the fear is still present, then tap away on the remaining aspect. BRAD CONTINUES: I told her about my personal successes with tapping on fears around some important presentations that I had done, and encouraged her to "try it on everything" as you are so fond of saying. I told her she could pay me back by visiting your web site, learning EFT, and teaching someone else. She immediately knew who she would share it with. When I asked if she wanted to write down the whole EFT protocol, she did so inside the cover of her book. It was a book about how to overcome the fear of flying. Ironic, eh? The book gave all kinds of good information about the airplane, the sounds, and things that go on during the flight. A nice piece addressing the cognitive mind. Too bad that's the wrong one to address. At least the book ended up with the right information between it's covers! The woman who was traveling with her was watching this whole process in awe. She said that originally she wasn't looking forward to having to fly with her "white knuckle" friend. Obviously, that was no longer a problem. They also commented on the synchronicity of the trip. They had been scheduled to fly on an earlier flight that had been delayed several times. In addition, the flight was very full and they were not seated together. When they found out about the flight I was on, and that they could sit together in a bulkhead row, they jumped at the chance. Thus, we met, and the rest, as they say, is history. While I've taught EFT to my kids, and had some limited success with them, this was the first time I really saw it in action in a BIG way with a "stranger". Gary, thanks for sharing EFT with the world, and giving me the opportunity to help another traveler. Here is a little follow up on the woman who I helped on the airplane a couple weeks ago. Before we left the plane, I gave here one of my business cards and I asked her to Email me with a report on how her return flight went. Below is that report. ---------- Thanks so much for helping me out with my fear of flying. The flight home was much better. I was still nervous but there were no tears and I was able to enjoy most of the flight. We sat in the last row and the noise was pretty loud so I think that made me more nervous than I would have been had we sat in the bulkhead again. I am thinking of going to Hawaii in September! I imagine that the flight there is beautiful. Thanks again for all your help. I'm looking forward to getting that postcard from her on the beach in Hawaii.